Installation of Satellite TV manually isn't as difficult as when viewed from a novice's point of view. Many are much fond of having their installations done by a professional instead of using their basic Do-it-yourself skills. Meanwhile, to guide against some slips, it is advisable to have a technician around. To kick start this guide, you have to purchase a satellite TV kit. This consists of the satellite dish and related mounting kit, high-grade RF coaxial cable, and the satellite TV receiver, or satellite decoder. These are very necessary. Setting up a satellite TV for receptions has much work concentrations on Satellite Dishes. The reception quality greatly depends on the alignment of the dish. The dish is any material (metallic) that reflect radio frequencies. It is technically defined as a dish-shaped type of parabolic antenna designed to receive microwaves from communications satellites, which transmit data transmissions or broadcasts. The parabolic shape of a dish reflects the signal to the dish’s focal point. Mounted on brackets at the dish’s focal point is a device called a feedhorn. This feedhorn is essentially the front-end of a waveguide that gathers the signals at or near the focal point and ‘conducts’ them to a low-noise block downconverter or LNB. The LNB converts the signals from electromagnetic or radio waves to electrical signals and shifts the signals from the downlinked C-band and/or K -band to the L-band range. Direct broadcast satellite dishes use an LNBF, which integrates the feedhorn with the LNB. A dish that is mounted on a pole and driven by a stepper motor and can be controlled and rotated to face any satellite position in the sky. They have 3 variants: DiSEqC, USALS, and 36v positioners. Many receivers support all of these standards. »» Direct to Home (DTH) – Individual dishes serving one dwelling: . »» Satellite master antenna television (SMATV) or communal antenna broadcast distribution (CABD) – Collective dishes, shared by several dwellings. • Digital satellite receiver of your choice. → You need to pre-determine the satellite that interests you as well as the size of the dish needed to track it. → You need a knowledge of LNBf skew. Skew refers to the polarization angle of the electric field while polarisation is the LNB rotation with respect to ground. Dish Skew is the dish tilt necessary to get the satellite dish position such that the LNB will be in exact alignment with the electric field of the incoming satellite signals.To set the dish skew, stand behind the dish and rotate it clockwise until the scale on the dish reads the same angle as the required dish skew for your setup. If your dish has a reversed scale, the scale reading should be 180 minus the skew angle. → One need to know the azimuth(left and right) of the dish. Azimuth is the dish position in respect to north. It is a positioning with respect to East, west, north and south . The North is 0 deg or 360 deg, East is 90 deg, South is 180 deg, and West is 270 deg. → You must have knowledge of the elevation of your dish. It is often referred to as Up/Down of the Dish. This is the satellite signal beam inclination that reaches the dish and is measured in degrees. To adjust it, you must have a look at the numbers on the rear side of the dish on your dish neck. → The position of your dish must be carefully chosen to avoid obstruction. If its in a permanent site, make sure the poles are inserted to the ground with concrete. Another thing to note while choosing a perfect spot to plant your dish is to weigh its proximity to the TV. The farther away your dish is from your TV set, the lower the signal quality. → It is advisable to have a quality technician around. This should be very easy for all as most installation kits come with an installation manual. The process of assembling a satellite dish is a process whereby you harmonize all the satellite dish components to form a single whole. In this change, you attach and fasten every component of your Dish/antenna. Make sure you screw all nuts tightly, except the screws that are marked in red – These are places that will need you to turn and move the dish to orientate it correctly. Haven mounted the dish with the LNB attached at feedhorn and all cables (LNB and Polarotor) connected, place the receiver and a portable TV set near the dish so that you see the picture while you make the adjustment. Attach the cable to your television set. Seal all outdoor electrical connections with weatherproof sealant. Ground the unit and lines that are marked such. • Know which satellite carries your most frequently viewed programs. • Observing any obstacles that may obscure the line of sight along the arc mimicking the sun's path from east to west. → Connect the coaxial cable to your Dish’s LNBf and connect the other end to your tracking device. → From your strong decoder remote control, find Menu and then select installation . Enter 0000 as the password and Select manual scanning and then enter your satellite provider’s values as listed above. Into your tracking device, manually enter the following frequency: 11900 H 27500. → Make sure that angle on the LNB is set correctly. The easiest way to do it is to look at the dish and imagine it’s a clock, then align the LNB as if it is pointing to 4 o’clock. → Ensure the dish is facing east – the direction the sun comes up in the morning. → Move your dish horizontally to get the same shadow pattern. Now use your decoder to search for signal strength and make small adjustments either way until you get the best strength. 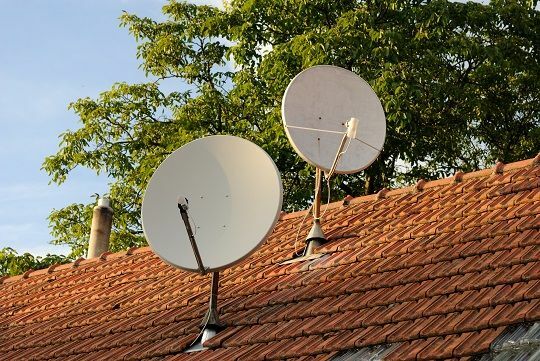 → Disconnect the LNB-in from your strong decoder (or digital satellite meter) and connect it to the DSTV decoder. Select English from the language options, E36A-B from the next window and Universal for LNB type. Hit scan to install and complete the channels set up. → As the first step, adjust the antenna reflector azimuth angle to match that particular satellite. This adjustment is the east-west movement(side to side) of the reflector on the vertical mount and is given in azimuth degrees. → Adjust the elevation angle(up/down); this adjustment is from the horizon to the sky and is given as elevation in degrees above the horizontal plane. →Make sure the antenna signal line/cable is connected to the receiver and the receiver is turned on and positioned on an active channel. → Begin tuning by slowly moving the reflector(Dish) first to the east in one-degree increments for a total of three degrees, then in the opposite direction (west) while monitoring the receiver’s signal meter. Peak the signal to the highest scale at this point. This should be done using a satellite finder or signal ‘strength’ meter as these allow for a more precise adjustment. → Lock the antenna azimuth adjustment on the mount once the signal level is at its peak. → Perform the same procedure using the elevation adjustment, first up and then down for peaking. Lock the satellite dish elevation at the point of maximum signal reception. → Ground the antenna and the signal line. → Boot your receiver and make any necessary adjustments to the satellite system settings. → Plug the receiver into both a power source and your TV. Once you’ve attached the coaxial cable to the receiver, you can use the receiver’s HDMI cable or AV cable to attach to your TV’s. → Turn on the receiver. → Switch to the receiver’s channel. Turn on your TV, then switch to the input into which you plugged the receiver. → Allow the receiver to perform its installation if necessary. FTA decoders won’t automatically do this. → Open the receiver’s menu. On your receiver’s remote, find and press the Menu button. You should see a pop-up menu appear on-screen. Find your dish’s antenna setup menu. Find the “Install” or “Dish” option, but consult your receiver’s manual if you can’t find the setup section of the menu. → Select a satellite. In the “Satellite” section of the menu, find your satellite’s name. → Select an LNB frequency. In the “LNB” section of the menu, use the arrows to select 10750 as the LNB number. This is the most commonly used LNB frequency for satellite networks. If you’re using a C-band network, you’ll select 5150 here instead. → Scan for channels. Find the “Scan” or “Single Satellite Scan” section of the menu, set the “FTA Only” section to Yes if possible, and start the scan. Your dish will begin searching for available satellite TV channels.